Are All CBD Oils The Same? 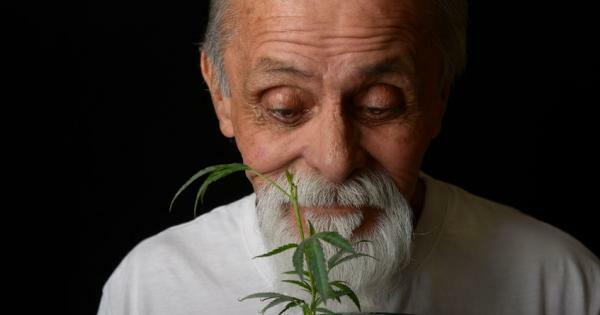 Could the very plant that for decades was accused of “frying” users’ brains be far superior to pharmaceuticals in treating the “incurable” neurodegenerative condition known as Parkinson’s disease? Despite the political controversy surrounding medical marijuana use in the country, research has begun to emerge showing that a component of this plant known as cannabidiol (CBD), and which does not have the controversial psychoactive properties associated with tetrahydrocannabinol (THC), may have a wide range of therapeutic applications, including treating conditions that are refractory to conventional drug-based approaches. In addition to these animal studies, the following three human clinical trials have been conducted to evaluate cannabidiol’s neuroprotective effects. A 2014 study published in the Journal of Psychopharmacology titled, “Effects of cannabidiol in the treatment of patients with Parkinson’s disease: an exploratory double-blind trial,” evaluated the effects of cannabidiol in Parkinson’s disease patients, dividing 21 patients into 3 groups of 7 receiving either placebo, cannabidiol (CBD) 75 mg/day or CBD 300 mg/day. Increases in well-being and quality of life were observed in the 300 mg/day groups versus the placebo groups. The researchers hypothesized that these improvements may have been due to cannabidiol’s “anxiolytic,” “antidepressant,” “anti-psychotic,” and “sedative” properties. These results, taken together with the results from the animal models of PD, indicate that CBD may provide a drug alternative in PD patients. Additionally, a new study published in Toxicology In Vitro titled,”The neuroprotection of cannabidiol against MPP+-induced toxicity in PC12 cells involves trkA receptors, upregulation of axonal and synaptic proteins, neuritogenesis, and might be relevant to Parkinson’s disease,” makes the case for using cannabidiol in PD even more compelling by helping to illuminate some of the molecular mechanisms beneath its benefits.The study found that cannabidiol protects against the neurotoxin known as MPP(+), which is widely believed to be responsible for the damage to the dopamine-producing cells in the substania nigra of Parkison’s patients, by preventing neuronal cell death and inducingneuritogenesis (a neuro-regenerative process for repairing damaged neurons). This mechanism was found to be independent of the neural growth factor (NGF) pathway, even though it involves NGF receptors. Cannabidiol was also found to increase the expression of axonal and synaptic proteins. The study concluded that CBD’s neuroprotective properties might be of benefit to Parkinson’s disease patients.For additional research on how cannabis can contribute to mitigating neurodegenerative diseases read our article, “Marijuana Compound Found Superior To Drugs For Alzheimer’s,” and peruse the cannabis research database on GreenMedInfo.com. Also, for an extensive set of data on natural interventions for Parkinson’s disease, view our database on the topic: Parkinson’s disease research. Finally, peruse an extensive list of foods, spices, and natural substances that have neuritogenic properties here. Chagas MH, et al. J Psychopharmacol. 2014 Nov;28(11):1088-98. doi: 10.1177/0269881114550355. Epub 2014 Sep 18. Effects of cannabidiol in the treatment of patients with Parkinson’s disease: an exploratory double-blind trial. Hermann D, Sartorius A, Welzel H, et al. (2007) Dorsolateral prefrontal cortex N-acetylaspartate/total creatine (NAA/tCr) loss in male recreational cannabis users. Biol Psychiatry 61: 1281–1289. Zuardi AW, Crippa JA, Hallak JE, et al. (2009) Cannabidiol for the treatment of psychosis in Parkinson’s disease. J Psychopharmacol 23:979–983. Previous Post: Cannabis for schizophrenia – does it work? Copyright © 2019 CBD Family Information Centre.org.uk. | Proudly powered by WordPress.